Dr. Joellen Popma is the Director of the University Counseling Center. She received her Bachelor's degree in Education, and then her Master's degree in Student Personnel Work, from the Ohio State University. 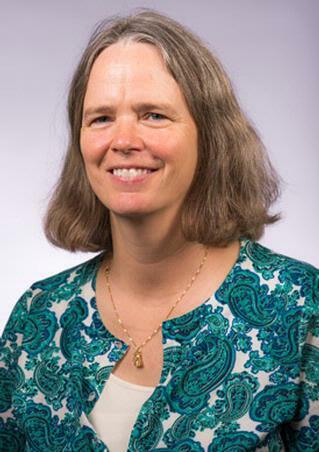 After working in both Residential Life and Student Affairs at Cornell University and Ohio State, she went on to pursue graduate studies in Counseling Psychology at the University of Kentucky where she earned her Ph.D. in 1995. Dr. Popma began her professional career in university counseling centers as a Senior Psychologist at Dartmouth College in 1995 and also assisting on a research team with Dartmouth-Hitchcock Medical Center and the National Center for Post Traumatic Stress studying survivors of childhood sexual abuse. In 1997 she joined the staff at the University Counseling Center at the University of Pittsburgh, becoming the center's Associate Director in 2004. In 2010 she joined the Counseling Psychology Graduate faculty at Chatham University. Dr. Popma's interests and specialty areas include working with survivors of trauma, GLBT issues and concerns, anxiety and depression. She also enjoys facilitating process groups, providing supervision and training for psychology graduate students.